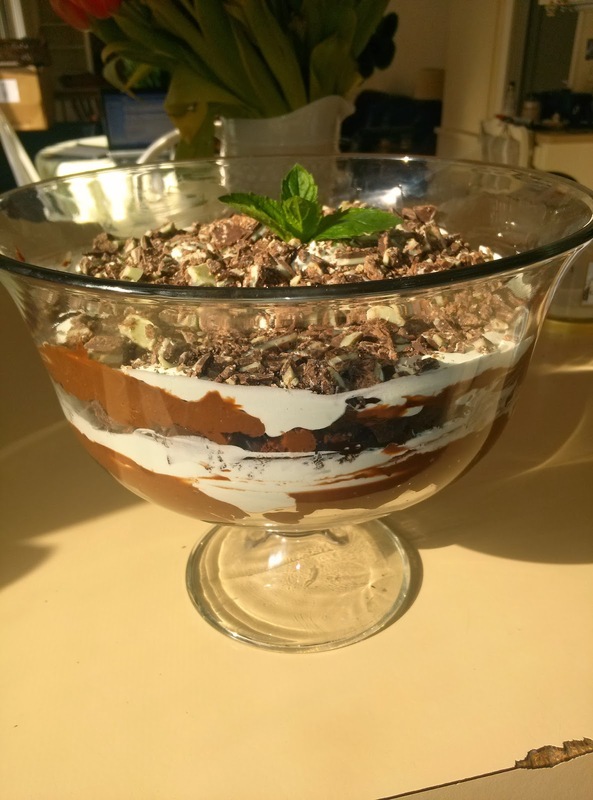 My Outside Voice: Recipe of the Week - Chocolate Mint Trifle - St. Paddy's Day Bunco! Time for the Tuesday Recipe Link up! 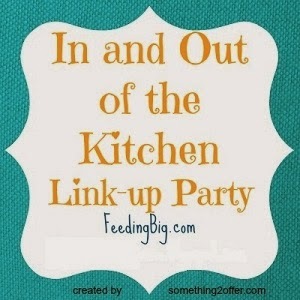 I am linking up with Tasty Tuesdays, Hello Happiness and In and Out of the Kitchen. 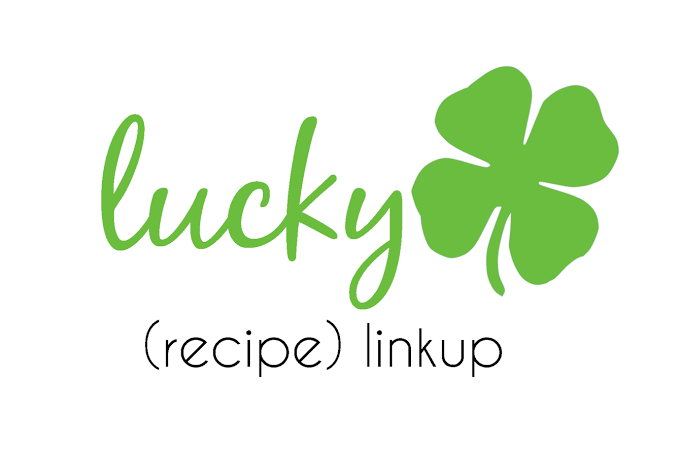 I am getting ready for next week and our Bunco themed St. Patrick's Day game night. My sister made this last year, and it was such a hit! Festive, delicious and pretty (at least while in the bowl!). Cool brownies and cut into 1 to 2 inch cubes. Beat pudding and milk together until it starts to thicken. In another bowl, mix peppermint extract and a few drops of green food coloring into the whipped topping until it turns light green. Place half of the brownie cubes in the bottom of a trifle dish or clear glass bowl. Top with half of the chocolate pudding. Sprinkle on half of the mint chips. Next, carefully spread half of the green whipped topping over mints. Repeat with the remaining brownies, pudding, and mint chips. Cover loosely with plastic and refrigerate until ready to serve. Right before serving remove plastic and decorate the top with a “cloud” of the reserved green whipped topping. Place some whole mints on top and garnish with fresh mint sprig. A friend of ours brought one of these to our St. Pat's party a few years back and it was the hit of the party! So good! 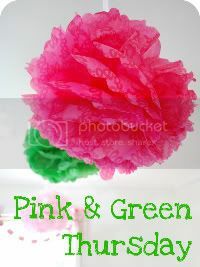 I think this is what I'm going to make for my family's St. Pat's celebration this year! I love serving a trifle -- especially because they are so fun to decorate! Thanks for linking up! !